Did you go to any Halloween parties this past weekend? Private or public parties were going on all over. What did you dress up as? My husband and I went to a house party as Red Riding Hood and the Big Bad Wolf. Lots of fun. 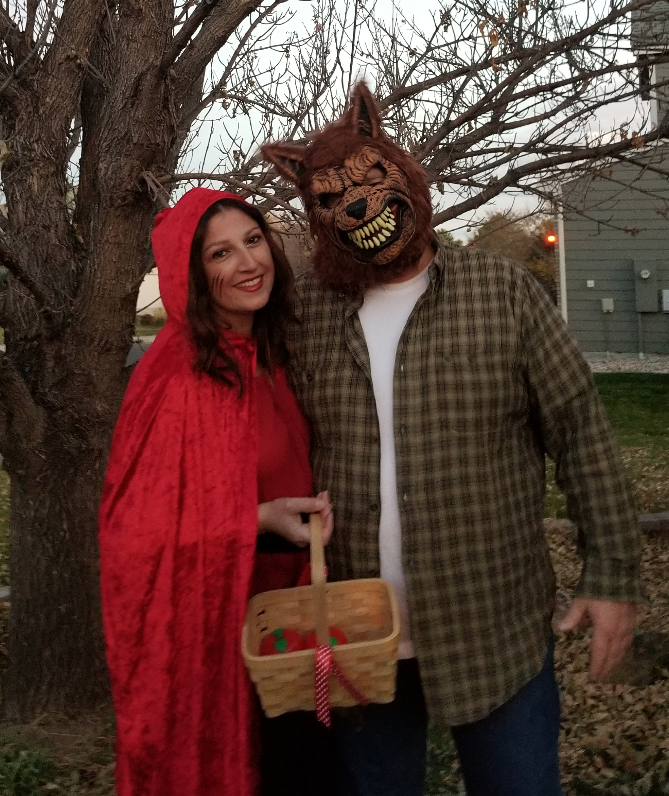 It was the first time we got dressed up for Halloween before the kids! 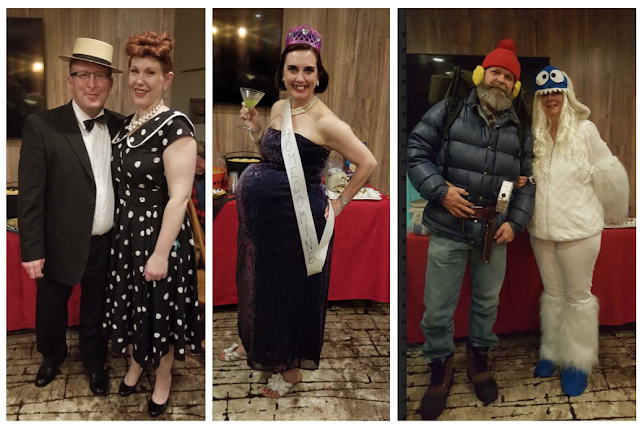 I did a better job getting photos of the costumes than the party decor. 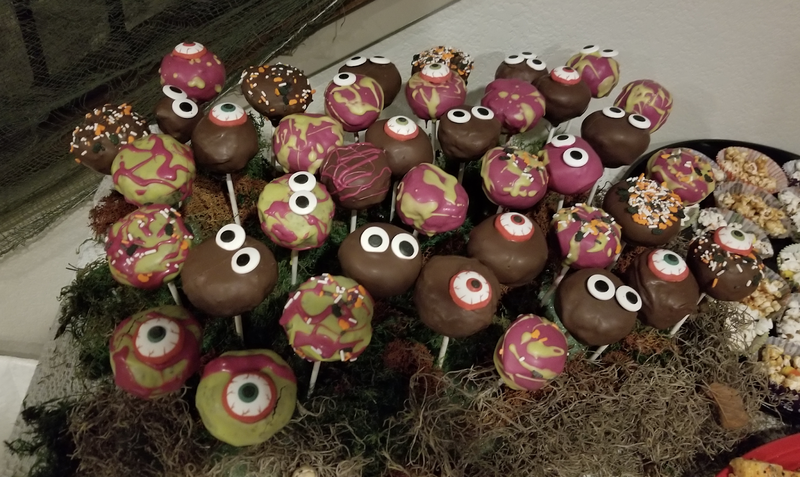 How cute are these cake pops?? 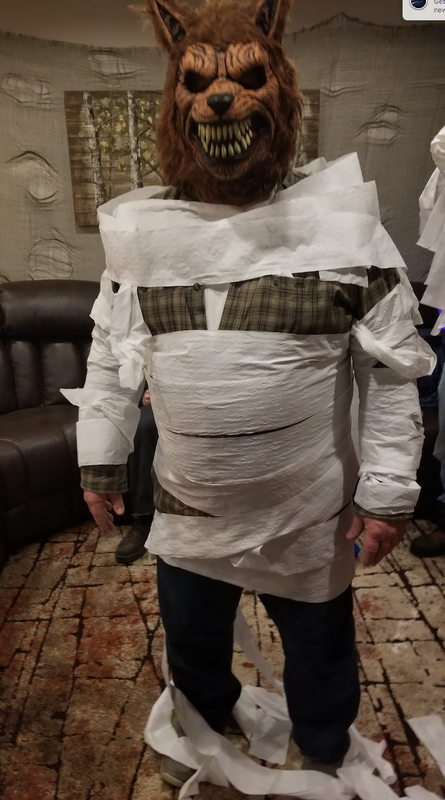 Yup, even adults play the mummy game! 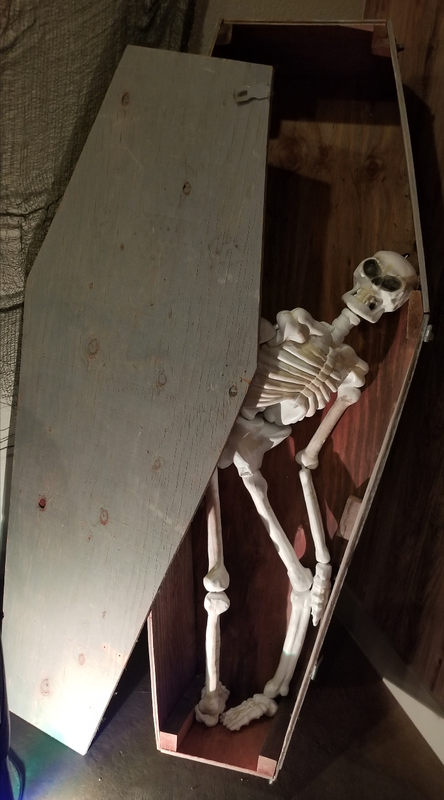 Enjoy these last few Halloween days!